Lion boasts more than 250 new features, including new Multi-Touch gestures; system-wide support for full screen apps; Mission Control to view everything running on your Mac; the Mac App Store; Launchpad, an iPad-like home screen for apps; and a completely redesigned Mail app. "Lion is the best version of OS X yet, and were thrilled that users around the world can download it starting today," said Philip Schiller, Apple's senior vice president of Worldwide Product Marketing. "Lion makes upgrading a Mac easier than ever before; just launch the Mac App Store, buy Lion with your iTunes account, and the download and install process will begin automatically." AirDrop: finds nearby Macs and automatically sets up a peer-to-peer wireless connection to make transferring files quick and easy. 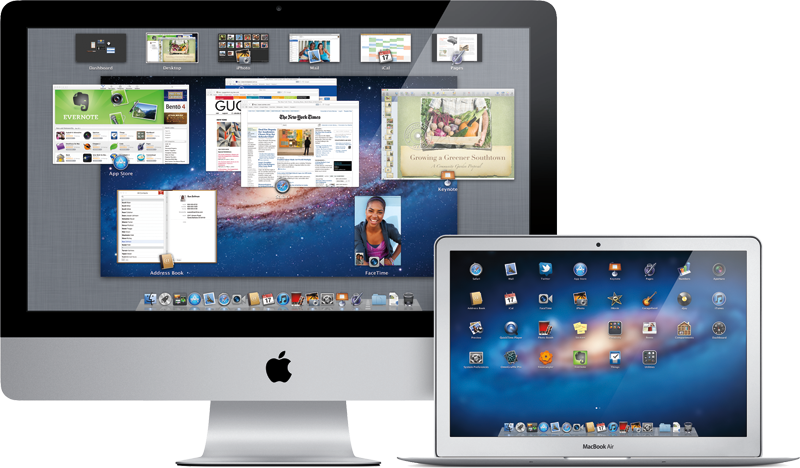 Mac OS X Lion is available as an upgrade to Mac OS X version 10.6.6 Snow Leopard from the Mac App Store for $29.99 (US). Apple said Lion is the easiest OS X upgrade and at around 4GB, it is about the size of an HD movie from the iTunes Store.